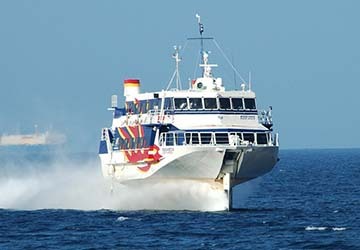 Ferry crossings to the islands run numerous times daily, year round and frequency increases in the peak Summer period. There’s a choice of two ports to sail to on Yakushima island - Miyanoura and Anbo. 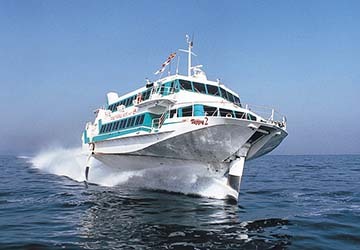 Although Tanegashima also features two ports the Tane Yaku ferries dock at Nishinoomote in the north of the island. 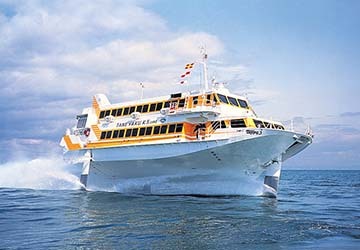 Ferries depart Kyushu, the southwesternmost of Japan’s main islands from the ports of Kagoshima and Ibusuki. There is also a service connecting the islands. 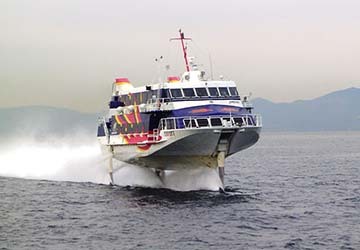 The ferries used by Tane Yaku are Boeing 929 Jetfoils which are passenger carrying waterjet propelled hydrofoils. The ferries are designed to be high speed passenger transporters so facilities on board are a little limited however a vending machine selling various beverages is available. When sailing conditions are favourable, travelling by jetfoil is incredibly smooth and enjoyable. Seats are allocated during the boarding procedure and once in place you’ll need to fasten your belt, airplane style. Seating is relatively roomy and comfortable. 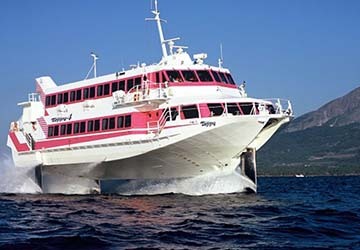 Use directferries.co.uk to find Tane Yaku Jetfoil timetables, prices and to book Tane Yaku Jetfoil ferry tickets. Looking for the lowest fares for your destination? 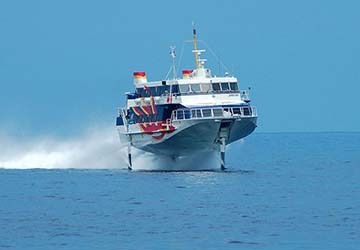 Don’t worry, we’ll also compare Tane Yaku Jetfoil with alternative ferry companies.